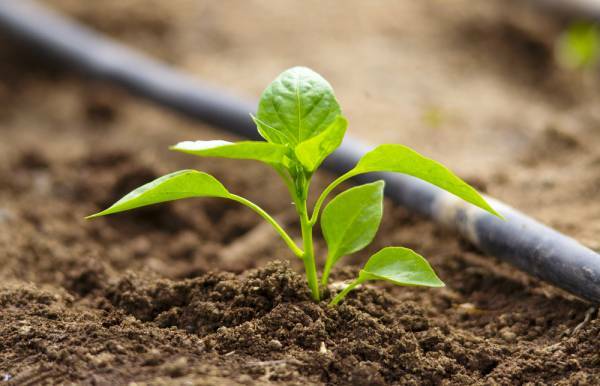 Drip irrigation systems can help get water exactly where your plants need it most. Combined with automatic timers they are a powerful way to manage your garden more precisely without having to remember when to water your garden. In the past I have used a combination of automatic timers, soaker hoses, and sprinklers. But since all my soaker hoses have sprung at least one leak I’ve decided it’s time to upgrade to a full drip irrigation system. I love this detailed video from Jeff Banks, a former Utah State University Extension agent. He provides detailed instructions for creating a drip irrigation system using PVC pipe. This looks like a solid system likely to last for many years– especially attractive for my property since we have a supply of goat head burrs that can slice through almost anything soft (including commercial grade garden hoses). I also like that he addresses a problem I’ve heard people have with drip irrigation systems: plugged water outlet holes. Banks recommends using a small nail to ensure that each opening is free of debris at the beginning of the growing season. In addition to the video, you can check out this printable pamphlet. I am also seriously considering Rain Bird drip irrigation systems. During my research this brand name popped up continually as a good option because so many components are readily available making it easy to make repairs and expand the system in the future. Although I love the PVC option above for my main garden, I like the idea of this more attractive system for decorative areas with herbs around my house. Johnny’s Selected Seeds is a solid supplier for serious gardening so I almost always take a look at what they offer when researching new tools for the garden. They offer drip irrigation kits in several lengths up to 2,000′. Although I really like the PVC irrigation system above, I may consider purchasing one of these ready made kits to put in place quickly this spring. Finally, the garden planner from growveg.com is my new obsession! This software helps gardeners plan every little detail for their gardens, including complexities such as succession planting, crop rotation, and custom plan to install a drip irrigation system into the garden you design with the software. It does have an annual fee of $25, but, you can try it out for free first to see if it will be worth the investment for your family. When I started researching heirloom seeds years ago it was purely practical: I wanted seeds I could save and plant the next year. I had no idea what an incredibly beautiful and colorful spectrum of vegetables exists. Everything from Black tomatoes to purple carrots defy our modern expectations of what food is supposed to look like. Baker Creek Heirloom Seeds is my favorite source for information about seeds. The pictures on their website and in their catalogs are incredibly artistic. 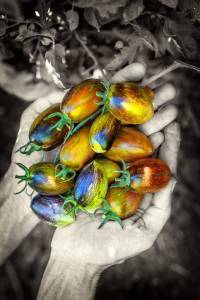 Brad’s Atomic Grape Tomato won “Best of Show” at the 2017 National Heirloom Expo. The company’s inventory also includes seeds collected from all over the world. If you want to get started growing heirloom crops and saving your own seeds, you’ll have to take a bit of a strategic approach. Personally, I want a packet of almost every seed in the catalog. But, to get good results, you’ll want to keep certain factors in mind. Some seeds will be easier to save than others. I started with beans, peas, and tomatoes. It was fairly straight forward: let the beans and pea pods mature and dry on the vine. Cut ripe tomatoes open, scoop out the flesh with seeds and let them dry. Other plants, such as broccoli, only produce seeds on the second year plant. Be careful if you live near fields producing conventional crops. Saving pure corn seed, for example, can be difficult since pollen from conventional corn crops can travel long distances on the wind. In the United States, that means you have a high likelihood of having your corn pollinated by Monsanto-owned GMO crops. The purity of your seed will be compromised– and Monsanto will likely want a payment and inform you that it’s illegal to save seed “their” seed. 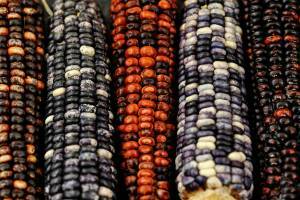 Study a bit to learn the science behind seed saving. There are some general guidelines for things like how far apart to plant your cabbage and your broccoli. You can also learn how to put bags over the buds and fruit, such as corn, then manually pollinate it so the seed won’t be affected by surrounding crops. Check out The Heirloom Life Gardener (which also tells the story of Jere Gettle, who founded Baker Creek Heirloom Seeds). Also, check out information from Seed Savers Exchange. 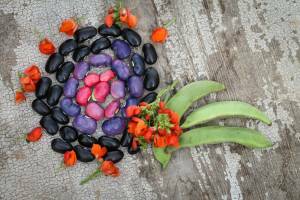 Consider trading seeds with other gardeners who share a passion for heirloom vegetables. Some national organizations, like the Seed Savers Exchanged mentioned above, exist. But you may also find a local seed bank in your community. 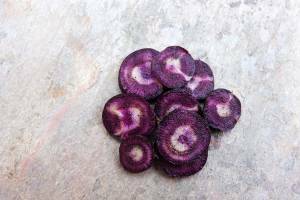 Do you have experience raising heirloom produce? We’d to have you share your experience and pictures! Send an email to Editor@HomesteadLarder.com, and we might just feature your garden on our “Your Stories” page. When I first saw a video about the Back to Eden gardening method, I knew I had to try it out. Compost over paper on garden plot created using the Back to Eden method. After that, I covered the manure with about three inches of wood chips. Then I left sprinklers running on the new garden area for hours. The wood chips are so absorbent it felt like the water would never actually soak into the ground. 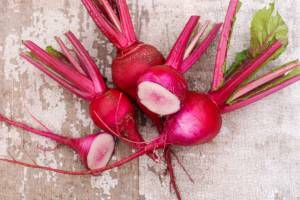 But that is also the key to why this gardening method is so incredible. The wood chips provide a covering that retains water and protects microbial life in the soil beneath. With this approach, it is critical to ensure that you don’t mix the wood chips into the soil. 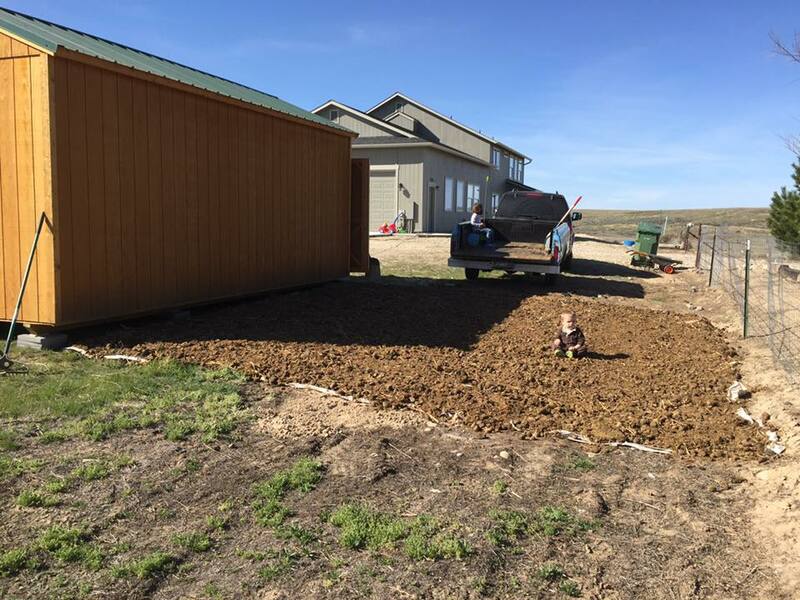 You want to make sure the wood chips are only acting as a mulch on the surface of the ground. Onion sets in garden using Back to Eden method. Wood is an excellent source of nutrients for the soil. However, it takes a long time to break down. If wood chips are mixed into the soil, they will bind the nitrogen in the soil for a period. This results in sickly looking yellow plants. When planting in this type of garden, you simply scrape back the wood chips and drop the seeds into the compost. Once the young plants grow a bit, you can push the wood chips around their stems. That way they get the benefit of the mulch covering and moisture slowly released from the wood chips. 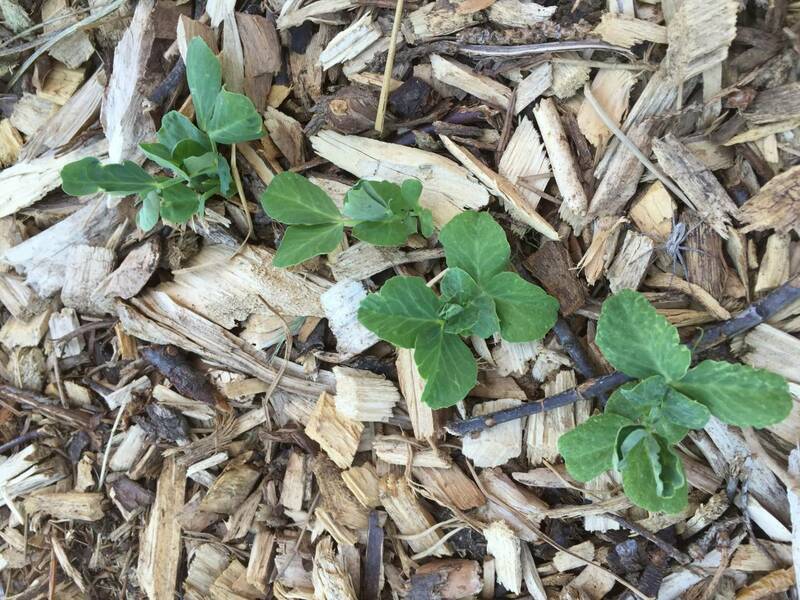 Pea plants growing in wood chip mulch using the Back to Eden gardening method. Overall, I love this gardening method. We have ridiculous amounts of wind in the early spring– so keeping the paper down while I got a shovel full of manure to weigh it down was a trick. (Mostly solved by finding a small child with enough focus to stand on the pieces of paper until I got a scoop of compost to weigh it down. I found that it was easier to work with the areas covered by sheets of paper rather than cardboard. The compost seemed to slip around on the cardboard more when I tromped back and forth across it. It was more tedious to plant in this garden that one with tilled soil, but that drawback was compensated for by barely having to weed at all. 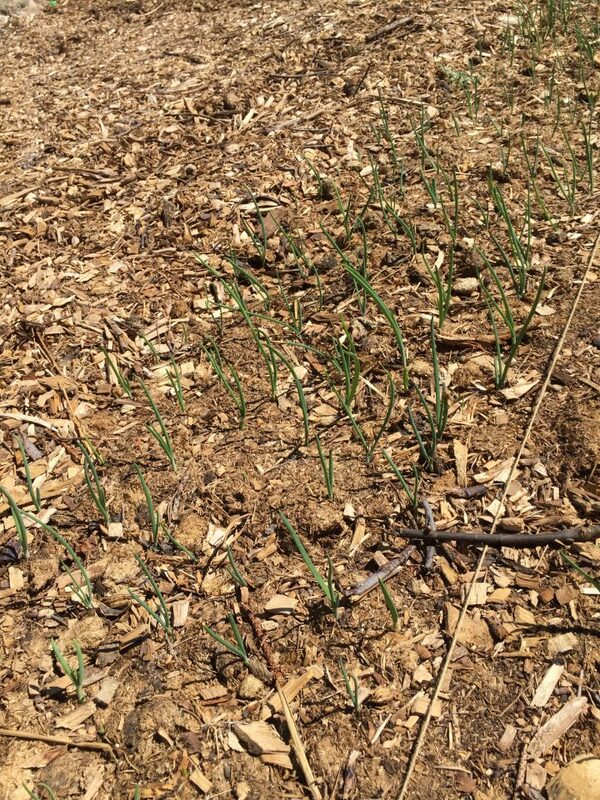 Do you use mulch or no-till garden methods? I’d love to hear about it. Just comment below!